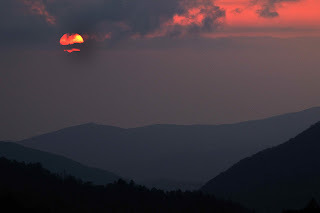 This is more typical of sunsets that you see from the Smokeys. What a wonderful place. Amazing the shots you can get when you only have 1 day there. If you get a chance - go. You will be rewarded.